This course aims to teach students advanced knowledge around materials and industrial processes from a design perspective. In the first half of the course, the main focus goes around understanding manufacturing processes. With a theoretical and experimental approach, students comprehend all the different possibilities that the industry provide to transform matter. A workshop is developed together with a professional Chef, where almost all industrial processes are replicated with cooking techniques. With a hands-on approach the students are able to understand the principles of manufacturing, producing objects made out of caramel, chocolate and other edible ingredients. The second half of the course concentrates on the material knowledge. Deep understanding of the material families, their physical properties and sensorial qualities are accompanied with aid of the Materials Driven Design (MDD) method. 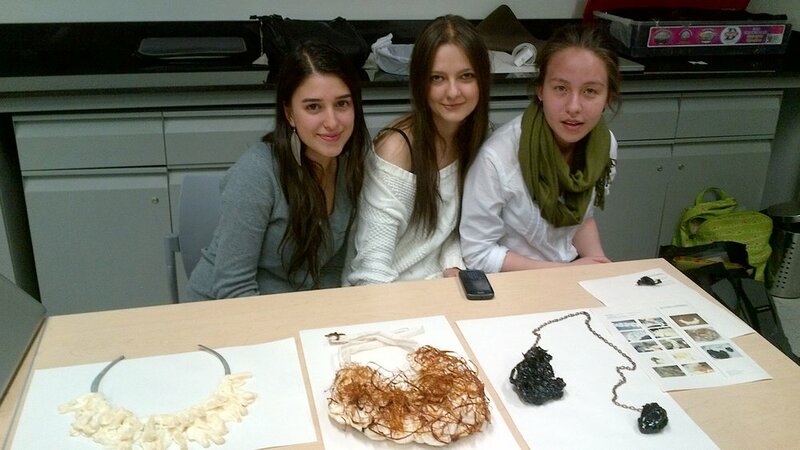 At the end of the course, students submit a material sample using a Do-It-Yourself Materials experimentation approach. Understand manufacturing processes and the role they have in the design process. Learn Materials from a design perspective. Acknowledging the fact that materials, when considered at the starting point in the design process, can trigger better and meaningful materials experiences. How can we produce better and meaningful products by choosing the right technologies? What happens when materials are placed at the beginning of the design process? It is possible to create materials experiences with a deep understanding of the materials domain from a design perspective?